A solution with a strong visual impact and comfortable versatility, CANDID, iconic product of XILON, loved for the aesthetic power of its lines, becomes now industrial. The new black aluminium structure housing the exclusive ceramic washbasin is presented for the first time at the Salone del Mobile.Milano 2018 in its "black" version, interpreting in a decisive way the trend of the moment when the bathroom is immersed in a metropolitan atmosphere. 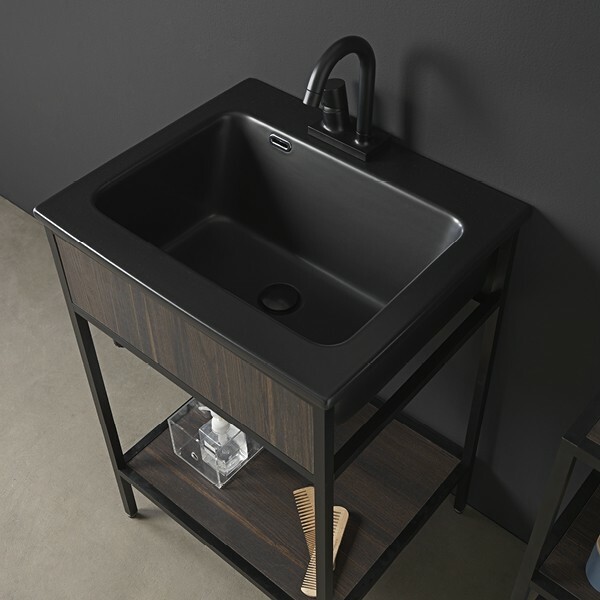 Contemporary and vintage at the same time, the Candid collection in its new black look focuses on a robust simplicity and a grunge charm that allows it to be inserted in any environment, making it unique. 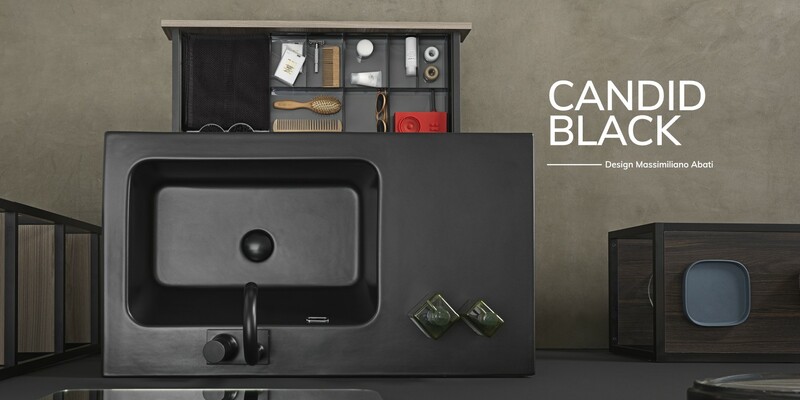 The new industrial version of the Candid line is available with a set of accessories with the same personality and fully customizable, for an exclusive bathroom.